Insure the safety and enhance the quality of the game. The simple fact is that each soccer game requires one to three referees to officiate. The quality of our games depends on the officiating of those games. Without individuals stepping up to become licensed referees we couldn't hold as many of the games that we play throughout each season. 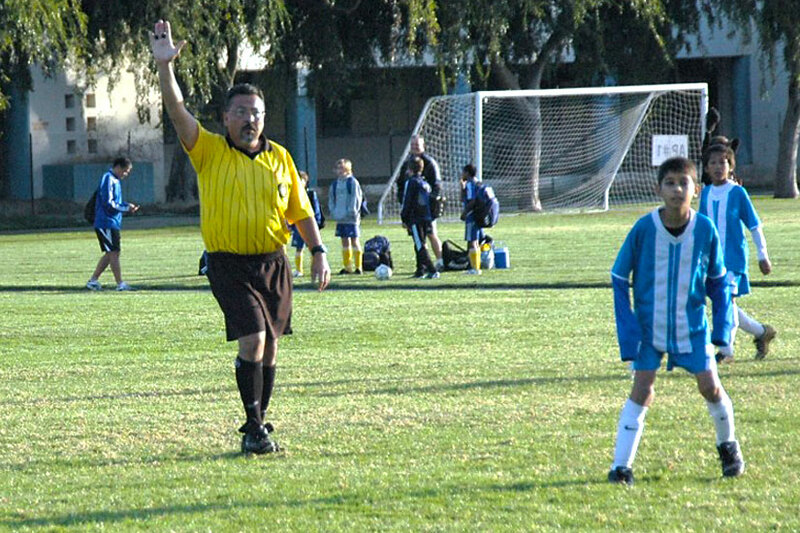 We ask for your support to assist our soccer community and become a referee. Requirements to insure the safety and enhance the quality of the game. Available classes and clinics for referees. Find out more about what you can do to help our club and become a referee.